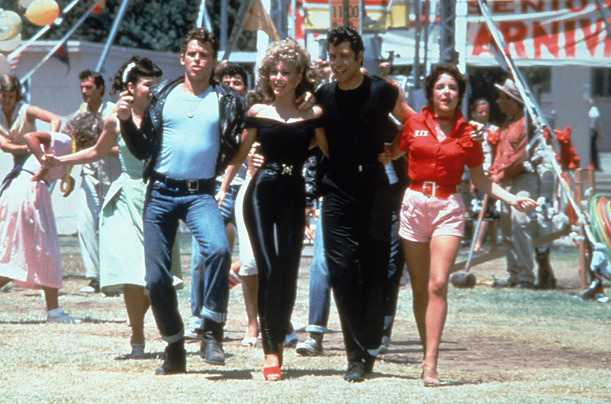 5 Halloween Costume Ideas You Already Have in Your Closet – Giselle Ave. It seems like just yesterday we were celebrating the start of the New Year and now, October is already almost over. Can you believe it? But with the end of October comes one of my favorite holidays — Halloween! While Halloween is a fun and festive holiday, it also causes lots of stress because, let’s face it, half the battle is coming up with a creative costume idea that isn’t too cliche. Channel your inner ‘good girl gone bad’ with this edgy costume. To really sell this look, pair an off-the-shoulder crop top with form-fitting leather leggings, red pumps, and a leather jacket. For addition drama, mix in fire engine red lips, a smokey eye, and voluminous locks. Who knows — maybe you’ll run into Danny while you’re out on Halloween night! Being a 90s baby, there’s a certain level of nostalgia that comes with the decade. 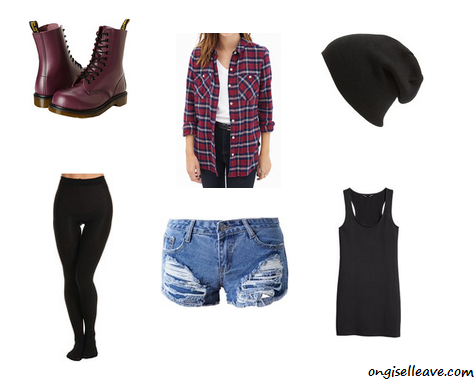 So what better than a costume that pays homage to the ever-popular grunge era? Because this style is defined by its unkempt look, try not to overthink it. Throw on multiple layers including tights, a flannel plaid shirt, a beanie, and other mix-match accessories to pull off the punk vibe. Why not recreate a music video? Rocking a Nicki Minaj costume provides the perfect opportunity to combine colorful pieces, slinky silhouettes, and insane accessories. To push the envelope, all you need are cut-off shorts, a white tank top, and some killer pumps. Go all in with the accessories and you’re ready for the festivities! 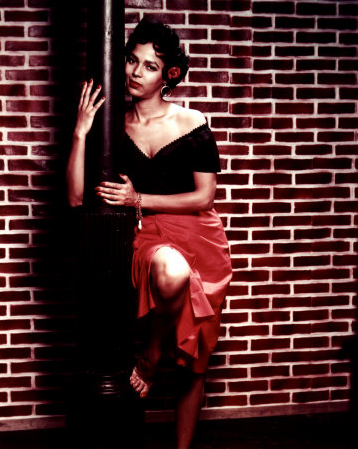 Dorothy Dandridge was the reigning queen of Hollywood in the early 50s. From her sultry looks to her signature off-the-shoulder ensembles, she always gave me life when it came to her polished yet sensual style. For this look a la Carmen Jones, grab that A-line midi skirt that’s collecting dust in your closet! Add an off-the-shoulder top and floral headpiece to finish the look. I’m like the ring leader, I’m on top! Am I the only one who has a top hat and military jacket in my closet? Between the lacy fishnet stockings, the thigh high boots that are on trend right now, and the utilitarian-type jacket, you can play with this costume and take it as over-the-top as you want. You’ll definitely be ready to party! What do you plan on dressing up as this Halloween? See anything you like? Previous How To Get Your Animated Bitmoji, Using Snapchat! Next Why I Started Bringing My Entire Self to Work… And Why You Should Too!